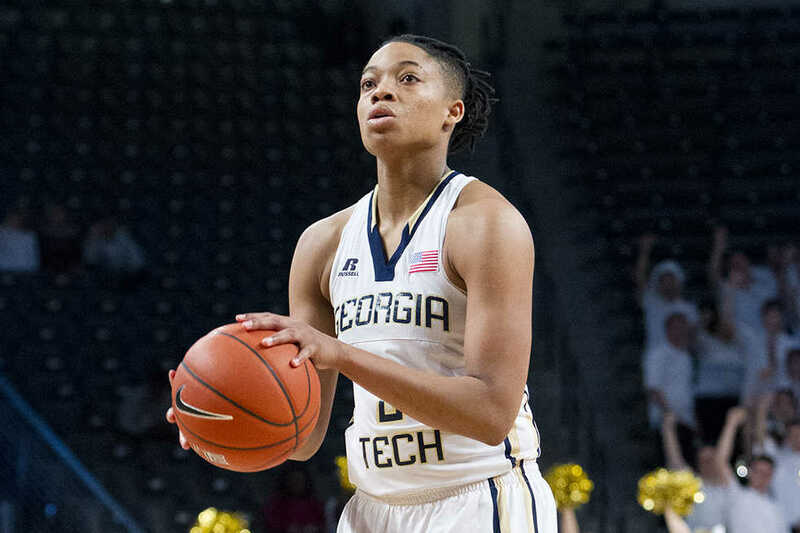 Senior Aaliyah Whiteside has done it all for the Jackets in her four-year collegiate career. She regularly starts at both the guard and forward positions and is currently leading the ACC in scoring with 21.8 points per game. Whiteside is far from a one-year wonder, being in the top five all time in Tech’s annals for free throws made in a season, free throw percentage and points by a junior. If Tech is to make a push towards the postseason, there is little doubt that Whiteside will play a major role in that effort. She sat down with the Technique to share her thoughts on the team’s current situation and reflect on her career. Technique: How is the team preparing to face No. 3 Notre Dame [last] Thursday? Technique: Is it any different compared to a usual game because of their ranking? Whiteside: No, I think you have to prepare for everyone in the ACC in the same way because any team can beat any other team on any night. I think you just have to bring your A-game every night and just be mentally prepared and locked in. Technique: The team [was] 2-5 in conference play, but every loss has been competitive. Can the team learn something from those losses to help them moving forward? Whiteside: Those five losses have all pretty much been … tied until the last five minutes of the fourth quarter. Right now we just have to focus on finishing the game. I think if [stepping] up my leadership in those last five minutes would help because we are a young team. But we have to finish, so some of those losses will come the other way. Technique: How would you compare the talent level on this year’s team compared to past Tech teams that you’ve been on? Whiteside: This team is definitely very talented. I think we’re working through the growing pains, and we’re really starting to see our identity. This is really one of the most talented teams I have been on. Technique: Do you think this team is capable of reaching the NCAA Tournament? Technique: How would you describe your leadership role on the team? Technique: Looking back on your sophomore season, was it difficult for you to transition to the forward position? Whiteside: Yeah, it was definitely difficult. I think at times it had its positives, but it was definitely difficult. I think I’m way more comfortable now at the guard position. Technique: Do you think you can keep up this scoring pace through the rest of the season? Whiteside: Yeah, I think it’s coming naturally since it’s my role on the team to score, and I’m definitely going to go for it.